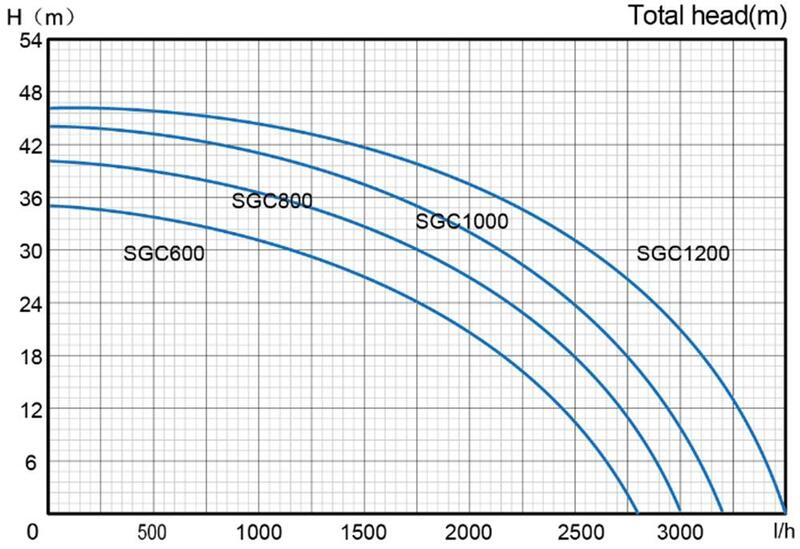 This series self-priming SGC&SGS pump equipped with the same Venturi system each. They are suitable to conveying clean water and non-aggressive chemical fluids,even with liquid mixed with gas,from well in continuous duty:they are suited to increase water pressure in centralized water systes, for small irrigation systems for watering gardens,for washing systems with water jets, for fountains,etc. It is normally adviseable to install a foot valve on the suction branch.